"Small indulgences should be enjoyed daily." This is one of Bee Raw's founding principles. And a handmade cocktail, one of our favorite indulgences, can fulfill this call in surprising and tasty ways. 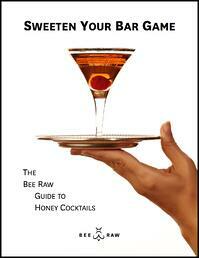 In our new recipe book, we've collected our favorite honey cocktails in one place. From classics to bright summer drinks and warming winter pick-me-ups, we’re committed to highlighting honey’s flavor and versatility. Pull up a chair, and get your mixing hand ready and your palate on point. Here’s to getting in touch with your honey spirit!